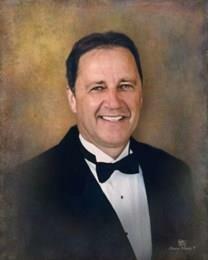 William Neely Shaver IV, DDS, of Fort Smith, AR died in Mercy Hospice Wing on October 15, 2017. He was born in Fort Smith, AR on February 4, 1953. He practiced dentistry in Fort Smith for forty years. He loved playing guitar, fishing and canoeing, and traveling with his wife, Becky. Bill was very active in the music community. In addition to high school and college bands, he played with local band, Delayed Reaction for thirty years. He served as an Elder at First Lutheran Church, where he attended. He had a strong faith and was a big supporter of First Lutheran School, where the third generation of Shavers is now attending. Friends and family loved his sense of humor, which was present until the end. He had a quiet strength and a loving nature that were an inspiration not just to his family, but to all who knew him. He is survived by his wife of 42 years, Becky Chambers Shaver; children, Kelly Schluterman and husband Chris of Fort Smith, Emily Benoit and husband Mike of Fort Smith, Jill Route and husband Josh of Bella Vista, AR; his mother, Virginia Shaver of Fort Smith; two sisters, Gayle and husband Keith Clutts of Fort Smith and Terri and husband Tony Piazza of Iola, KS; one brother, Mark and wife Janice Shaver of Fort Smith; and seven grandchildren. He was preceded in death by his father, William N. “Bill” Shaver, III. Memorial service will be Wednesday, October 18, 2018 at 10:00 AM in the First Lutheran Church. Services and cremation are under the direction of Edwards Funeral Home. Memorials may be made to the First Lutheran School or the First Lutheran Church, 12th & D Streets, Fort Smith, AR 72901.